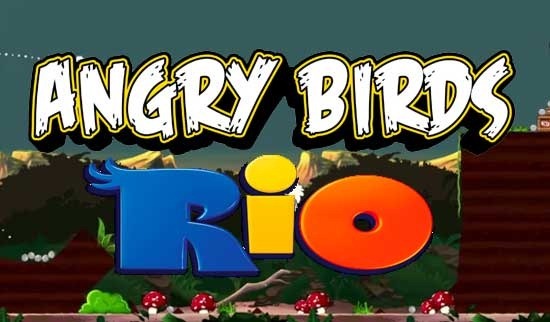 The world's famous and very well-known mobile game Angry Birds RIO and Angry Birds RIO HD from Rovio is now officially available for Free for Apple iPhone, iPad and iPod Touch devices for a limited period of time from the App Store. So if any Apple iDevice users haven't experienced or played any Angry Birds titles or seasons before due to its price tag and cost on App Store can now download, install and play Angry Birds RIO and Angry Birds RIO HD for Free on any iPhone, iPad and iPod Touch device. So you should Get Angry Birds RIO and Angry Birds RIO HD Free for iPhone, iPad and iPod before the offer gets expired on App Store because the typical and normal charges of Angry Birds RIO and Angry Birds RIO HD at Apple App Store is around $0.99 and $2.99 respectively. Angry Birds RIO and RIO HD for iPhone, iPad and iPod have more than 180 levels plus 24 bonus levels with 6 episodes, 20 free power-ups plus another 24 levels and 18 special star levels. Additionally, Rovio added new tools like Super Seeds to supersize your birds, Sling Scope laser targeting, Samba Burst and TNT Drop and more excitements. The discounted price of Angry Birds RIO and Angry Birds RIO HD is now $0.00 and the reason behind the price-cut is that Angry Birds RIO and RIO HD has been made the ‘Free App of the Week’ at App Strore, Which means iOS users have at least Seven Days (7) to Get Angry Birds RIO and Angry Birds RIO HD Free for iPhone, iPad and iPod. Every single user of iOS devices should at least download and install Angry Birds RIO and Angry Birds RIO HD even if they don’t want to play it because it’s truly worth to have this kind of game. So what you're waiting for just Download, Install and Play Angry Birds RIO and Angry Birds RIO HD Free on iPhone, iPad and iPod before the offer gets expired on App Store. After expiry users will cost around $0.99 and $2.99 respectively for both games.